Location is no longer an indicator of taste-whether in the food you eat, the clothes you wear or the furniture you buy. It is not outlandish to demand guacamole in Mysore, distressed jeans in Bikaner or an IKEA sofa in the heartland of Matheran. This is at least partly because the processes that used to frame the production of a good-whether a pail of paint or a bottle of antiseptic lotion-are no longer limited by their proximity to material, the ready availability of freight-fit highways or the closeness of distribution centers. Increasingly beholden to customer’s changing tastes, they are instead moving continuously outward to include more functions that render the modern supply chain more global, complex and diverse and yet also more agile, efficient and productive. Having all the bits and bobs of supply chain processes up in plain view on a cloud-based system means manufacturers gain the seamless overview they need to ‘track and trace’ every function no matter where it lies. They can also compare and reconfigure in real time what material to source from which supplier according to what calculated advantage of service or cost; examine intermodal transport options to lower lead times and even monitor the last leg of a finished product’s journey on board a truck to a retail outlet before its purchase by an end-customer. In fact, whether it is sourcing or procurement; conversion, logistics or collaboration, technology is empowering manufacturers along the entire length of the supply chain with dynamic access to information from multiple channels that is enabling them to take informed business decisions at the right time. This trend is delivering a range of benefits to manufacturers. Consumer goods manufacturer P&G is said to be achieving more than USD 1.2 billion in cost savings per year since improving visibility throughout its supply chain with end-to-end synchronisation and integration. French sporting goods retailer, Decathlon is reported to have seen a 11 percent jump in sales in 2014 due in part to the application of another technology tool gaining prominence in supply chain manufacturing-radio frequency identification or RFID. Deploying RFID at more than its 900 stores worldwide as well as at its 43 warehouses is believed to have enabled Decathlon to execute seamless inventory tracking on shelves, at the point of sales and security gates at several of its stores. Doing so is said to have not only helped the company expedite inventory management-a vital and time consuming component of supply chain manufacturing-but also freed up its staff to move to other valuable customer-facing jobs. Gartner had recently predicted that the supply chain planning market will reach an inflection point in 2016-2017 due in large part to the adoption of current and evolving technologies. The 2016 MHI Annual Industry Report on Accelerating Change: How Innovation is Driving Digital, "Always-On" Supply Chains, confirms this projection. Based on an analysis of global surveys done with over 900 supply chain professionals worldwide, the report indicates that not only will cloud computing adoption rates continue to surge in the coming years, but also that driverless vehicles, drones, 3D printing and robotics look set to be adopted, some by up to 50 percent in the next decade. This will mean several things for supply chain optimisation. Having trucks that can be driven without drivers will enable companies to streamline their logistics operations as they will now be able to deliver goods to consumers at any time. Autonomous vehicles inside warehouses will help companies move and stack their assets quicker with minimal human oversight or intervention. 3D printing will enable work teams to save resources and effort otherwise spent on making physical models of products before product launch. And the application of robotics-as evidenced by Amazon’s recent deployment of Kiva robots in its logistics centers-will help companies gain cost benefits and higher process efficiencies by enabling the transportation of heavy assets across warehouse floors with no human involvement. Given the dramatic ways in which these changes will impact supply chain optimization there is no doubt that there will be challenges to address. Foremost of these will be dealing with change management. In being one of the world’s oldest industries with legacy systems in place what will be of utmost importance will be to devise ways to change the way companies think about new technology. Next will be educating players in the manufacturing sector about time. It is common to see manufacturers want everything done all at once. But supply chain optimization is a long-term game. It needs careful focus on pain areas to yield outcomes. Another challenge will be technological integration. Manufacturers tend to have several systems running simultaneously. These will need to be migrated to one system for greater efficiencies. And finally, a widespread fear of what data sharing may cost in terms of theft and privacy loss will have to be addressed. 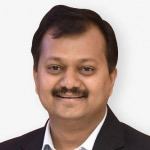 Since the trend is for manufacturing companies to continue moving to cloud, manufacturers will need to be educated about the software already in place that will keep the data they need kept private remain so while facilitating sharing of files, information and logistical details central to technology-driven productivity. What I am certain of is that the rapid transformation led by technology in supply chain manufacturing is only going to gather momentum. It is up to manufacturers to pay heed to the signs and leverage the efficiencies that technology adoption provides to not get left behind.